[Translate] When we drove over to The Langham, Pasadena from central Los Angeles, the pace of life here feels a little more relaxed and it truly does look like paradise on the vast grounds of this historic hotel. 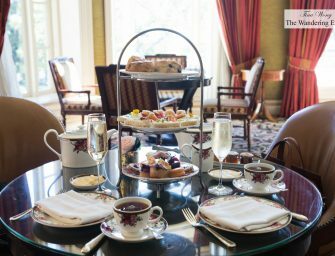 My friend and I came to this ornate, stately hotel for the Wedgewood afternoon tea. The moment we stepped in to its spacious marble lobby redesigned in 1911 by architect Myron Hunt. It has a stunning crystal chandelier with double French doors looking out to its center courtyard, one cannot be helped but be in awe. 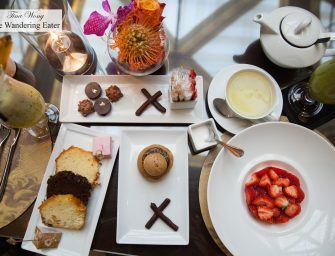 The lobby lounge, where afternoon tea..
[Translate] If there’s such a bakery that has an Instagram friendly space and serve excellent laminated pastries at the same time that would be Mr. Holmes Bakehouse. 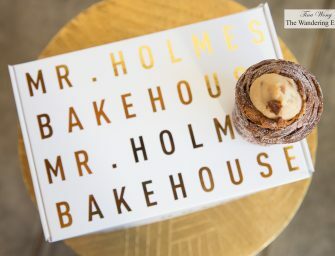 The space itself is slightly on the industrial style with minimalist decoration, done in tones of white, beige and grays and a touch of wood, making it a great canvas for the golden brown pastries (some dipped in colored glaze) to stand out. This particular bakery started in San Francisco, CA particularly famous for the Cruffin, a croissant dough shaped like a muffin and filled with various flavored fillings depending upon the day..
[Translate] I’ve been to plenty of steakhouses (especially NYC is pretty much known as a steakhouse town) and the one that feels the most well-rounded I’ve been to as of recent is at Gwen. 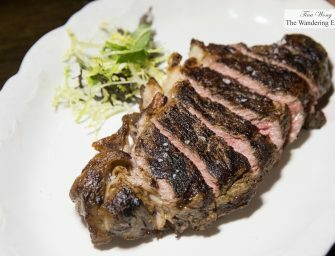 It’s kind of odd to say, for me at least, that a restaurant in Los Angeles would provide me a better experience both in service and in food that doesn’t feel brusque and the menu is uneven that the beef steaks shine but little else on the menu would be as good or notable. What is notable about Gwen is the fact the menu is meat-forward..
[Translate] Noree Thai on Beverly is a relatively new Thai restaurant from the Luv2Eat team. 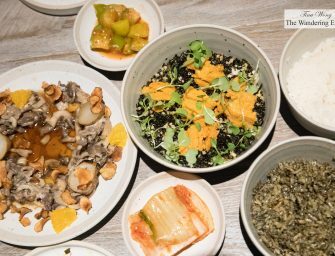 The chefs’ namesake eatery, which opened this week, is the most mature of the bunch with Thai-inspired design elements coming from the warm gold chandeliers and cascading art on the walls. 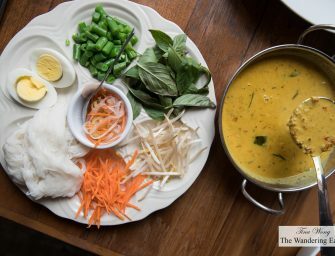 What I adored about this place was the unabashed Thai flavors and cooking that comes from the kitchen. We started with the tum pu pla ra, a salted crab green papaya salad made with fermented fish sauce and black crab paste that was both spicy and deliciously funky fermented flavors that made this papaya..
[Translate] I would daresay, I have stayed and visited at a fair number of luxury hotels but by far my favorite is Hotel Hermitage in Monte Carlo. 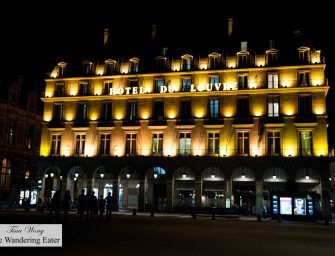 Everything about this hotel is beautiful and luxurious from the moment you step through the rotating doors and be greeted by the sight of fresh flowers (we saw hydrangea first then orchids) at the comfortable, pastel colored main lobby, all done up in Belle Époque style. 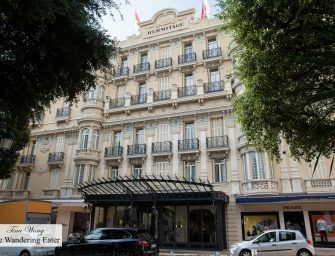 This hotel was built in the early 1900s and is one of the two best luxury hotels in Monte Carlo. Its competition the Hotel De Paris is..
[Translate] Note: While we were traveling around Paris, we’ve stopped over to the glamorous principality of Monte Carlo. 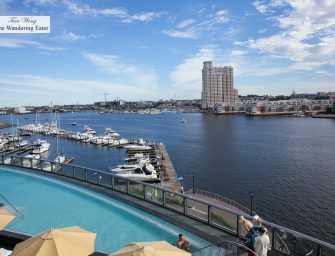 I will be writing an overview post of this side trip summarizing it all but I’m writing the individual dining establishments first before getting to the aforementioned. During our stay in Monaco we stopped by Hotel Metropole for afternoon tea (there is an epic lunch at Joël Robuchon but I’ll get to that post in due time). The beautiful pastries and confections on display are from Robuchon’s kitchen. This is not exactly the traditional afternoon tea fare that you’d presume; there’s a..
[Translate] If you have been following my Instagram for the past week or so, I’m traveling around Paris, Nice and Monaco and eating quite well. Please note, these posts are not in any particular order (chronological or even about preference of a restaurant, hotel, etc.). Le Meurice is a beautiful seven-story, hotel palace located between the Louvre and the Place de la Concorde, it’s in the best location in all of Paris, especially for museum lovers (but beware the flood of tourists). 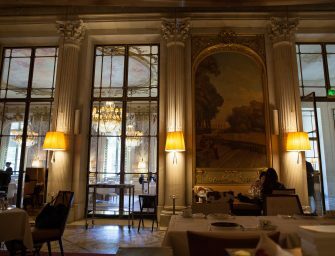 The opulent Restaurant Le Meurice (2* Michelin) looks pulled straight out of Versailles with its gilded moldings and..
[Translate] I love fudgy brownies. But I’ve been wondering over the years as I’ve been baking these rich, fudgy squares does it really require the half pound of butter in that batch, even if I do melt a substantial amount of chocolate? After some naval gazing and an opportunity to collaborate with Four Roses Bourbon, I had an eureka moment. I know it sounds insane to not bake with butter (and I do love my butter) but for the sake of curiosity and experimentation, you can have a fudge-y, dense brownie. Partially inspired by the macaron cookie, you can create..